Where do your cruises go, and what do you see? Our Osprey deep sea fishing trips go into the Gulf of Mexico to a distance of 5 – 20 miles, depending on the location of the fish. We spot dolphin, marine life and sea birds. On the Bay King, we fish the Laguna Madre, where we sight dolphin, sea birds and a variety of marine life. Sea Life Cruises also tours Laguna Madre and focuses on dolphin and the abundant sea life. Black Dragon sails Laguna Madre. Excellent sight-seeing. Thriller cruises Laguna Madre & the beaches of S. Padre if seas are calm. Lots of dolphin sightings. May I take my children onboard the boat? Yes. Children 2 and under ride free. Very young children should be discouraged from taking the longer 5-12 hour fishing trips. On the Thriller, young children should be held by their parents. Visit our Schedule & Prices to view the cost of tickets. Do you have special cruises for fireworks? Yes. This is a Friday night cruise spectacular. It’s a great attraction. How early do I need to purchase my tickets? The sooner the better. Call us and we’ll help you schedule your activities. Call either 956-761-6655 or 956-943-6283. We accept Master Card, Visa, Discover Card and cash. Making reservations is always the best choice, particularly on weekends and during the summer. With 24 hr. notice of cancellation, you will receive a full refund. What time can we board the boat? We’ll board immediately before the cruise at the captain’s order. Do your cruises run if it rains? Light rain is not a problem. If the weather is nasty with high winds, we’ll cancel the cruise and refund any payments or reschedule for your convenience. Safety first! Both Ospreys and the Buccaneer have full climate controlled cabins. Black Dragon and Bay King have canopies. Thriller is an open boat. Between 5:12 p.m. (winter) and 8:15 p.m.(summer). Visit wunderground.com for current weather and sunrise/sunset times. Does the boat enter the Gulf of Mexico? Both Ospreys frequently. Bay King, Buccaneer and Thriller occasionally. Black Dragon rarely. Black Dragon and Osprey offer full bar service. Thriller offers no food or drink, and the other boats a variety of beers, wines, and wine-based mixed drinks. Is there anything to eat or drink onboard? Yes. Snack items, and a selection of beer, wine, soft drinks and bottled water are available on our cruises (except Thriller) for your comfort. Yes. (except Thriller) Unisex on Buccaneer and separate facilities for men and women on others. How long has Osprey Cruises been in business? We have been operating passenger-carrying vessels since 1976. Yes, dependent on the size of the group. Phil Calo, General Manager and Events Coordinator, will be happy to help you with your arrangements. Call today for your reservation, 956-592-2223. You are welcome to bring your cell phone along. It will come in handy for photos. Is it better to take the cruise in the daytime or evening? Any time of day is a great time for water activities. It depends on what you would like to experience. If you’re looking for sunset photos or fireworks cruises, you might enjoy an evening cruise more than a daytime cruise. However during the day dolphins, fish, birds, and wildlife are more active as they feed. Dress comfortably and casually. You might want to wear a hat, shades, and sunscreen. Select footwear with non-skid soles. What type of seating is onboard? Excepting Black Dragon which has comfortable bench seating, padded seating is installed on all our boats. Are your boats USCG certified? All our boats carry USCG certification and are routinely inspected by that agency for safety. If I take one of your cruises, do I get a discount on any others? Yes. If you purchase a ticket for one of our boat trips, you receive a $5 discount per person on any other. 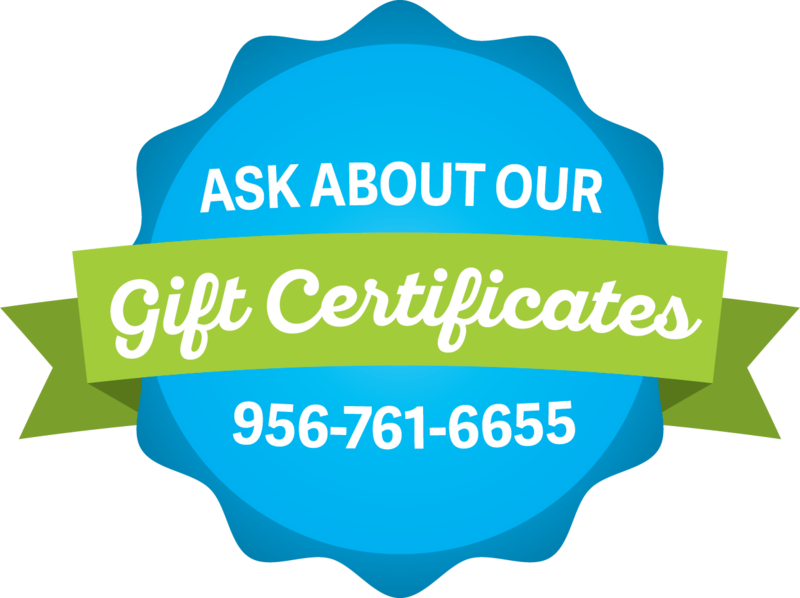 Do you do birthdays and other special events? Absolutely. We specialize in birthday and wedding entertainment cruises on the Black Dragon pirate ship and the Osprey sightseeing vessel. We handle private charters on any of our six boat fleet. Phil Calo, General Manager and Events Coordinator, will be happy to help you with your arrangements. Call today for your reservation, 956-592-2223. 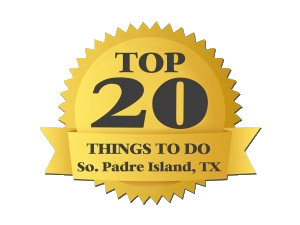 What else should I do while I’m in South Padre Island? The sea turtle rescue facility is located near the Birding Center. The mission of this wonderful non profit organization “is to rescue, rehabilitate, and release injured sea turtles, educate the public, and assist with conservation efforts for all marine turtle species.” They deserve our support. Be sure to visit and observe sea turtles undergoing rehab. You’ll be glad you did. You should also by all means visit the S.P.I. Birding Center with 3000 ft. of boardwalk over the wetlands. You’ll see marsh and glade life up close and personal. Where should I eat in South Padre? There are many excellent restaurants in the area. We share location with the following three. Built on the pier, the views are fantastic. Superb sunsets. Food, drinks, fun and entertainment. Reasonable prices. The Sea Ranch Restaurant of South Padre Island, TX. Rated in the top 500 restaurants in USA, as well as being listed as one of Texas’ best seafood restaurants. South Padre Island is the southernmost point in Texas at latitude 26.11 (the same as Naples, Fl) and is temperate year-round. Bring a light jacket for cool evenings in the fall, winter, and early spring. Be sure and pack light clothing for the summer. Always wear sunscreen during water activities, since the water reflects light, regardless of the season. While June through November is officially hurricane season, few storms affect South Padre Island (knock wood!). Average rainfall is 26″ annually which is low, 1/3 below the Texas average of 36″. You won’t see many umbrellas or ponchos during your visit. For current and forecast weather, visit weather.com. When is South Padre busy? Although spring break and summers are the busiest periods, we operate year-round. We offer a number of cruise options that can fit your plans and schedules any time of year with a little notice.